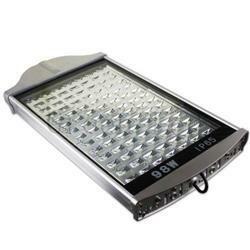 Manufacturer of a wide range of products which include solar led street light and solar led street lamp. solar panel up-to 75.w, dusk to down controller, CC led driver . efficiency >83%. @- LED -: high power led(3030 osram/Seoul)- 10/20 nos. with high quality solder @- FIXTURE -: PDC aluminum heat sink, customized epoxy weather proof coating I/P 65 protection,special silicon gasket, toughen glass, clamp bolt @- MCPCB -: 0.8 mm, ceramic base- high thermal conductivity. BEST QUALITY RAW MATERIAL- THERMALLY MANGED- HIGH LIGHT OUTPUT LONG LIFE- ALMOST ZERO MAINTENANCE- ASSURED WORKMANSHIP.SATISFACTION GUARANTEED. 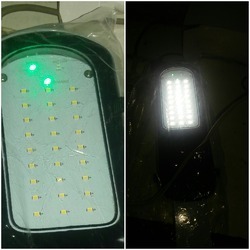 Looking for “SOLAR LED STREET LIGHT”?